The Fusion CST is quickly gaining fans! 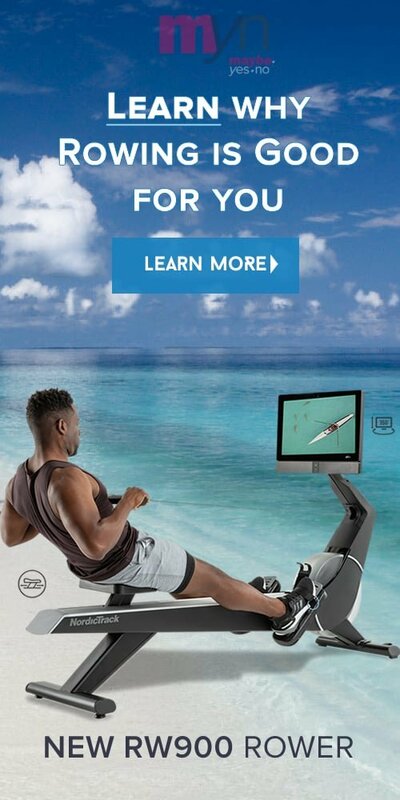 And a reputation as the ultimate high calorie burning machine to workout with. iFit Fusion trainers have put out their first couple of rounds of iFit Fusion-specific on-demand studio sessions for Fusion owners and it looks to be a smashing success. True to its name the Fusion CST combines strength training with cardio. The Fusion CST customized classes are designed to burn calories and build long, lean muscles that are less prone to injury. You can follow workouts led by a professional trainer, on the included 10 inch smart tablet, who sets the pace and automatically adjusts the resistance – it's like having your own personal Coach. All your workout stats from your workouts are saved to review your progress and assist you to hit your goals. NordicTrack sponsored a secret 90 day challenge in Los Angeles where a couple of dozen people participated. Although the complete results had not been officially released, at the time of writing, there has been social media action allowing a glimpse behind the scenes for the program. As part of the challenge, invited members worked out on the Fusion CST 6 days a week. Check out some of the impressive action here – It looked like a lot of fun with real results. "yessss! I feeel sooooo good"
Shred pounds and burn more calories. One of the best things about the Fusion CST is that it is a time saver. By combining your cardio and strength training into one intense work out you get better results in a shorter period. It's designed to drive your heart rate up and build your strength at the same time. And with everyone’s busy schedules a little extra time saved is helpful to meeting your fitness goals. With the Fusion CST, a personal trainer leads you through fast, high energy studio-class sessions that burn those calories. By having your Fusion CST at home, you can work out when you want without having to get to the gym, wait for equipment, or wait-list for a trainer. You get it all at home – The Fusion CST is designed to build long, lean muscles that are more resistant to injury. Elegantly designed to fit into a compact space the Fusion CST has a foot print of only 61 inches by 42 inches. And the brushed aluminum gives it a cool modern look. Aside from being attractive on the outside the Fusion CST is packed with technology like the easy to read watts meter, a 10” smart tablet, integration with an included Bluetooth chest strap to track your heart rate, and iFit Coach where synchronized trainer led, iFit video workouts, streamed to the tablet everyday. This is an extremely well designed piece of exercise equipment that enables you to smoothly switch-up and quickly change exercise movements without having to break to make adjustments. The Fusion CST has a unique silent Magnetic Resistance and a sleek flywheel to provide a smooth, quiet workout that changes its resistance to match the video studio classes you're taking. Of course you can make your own adjustment decisions if you want. The first 12 months of iFit Coach are included with your Fusion CST. You get personal coaching led by iFit trainers spefically designed for the Fusion. The app also automatically tracks your calorie burn throughout the day and recommends adjustments to food in-take suggesting activity levels and sleep tips to help you reach your goals. iFit Coach can customize a meal plan for you and let you know how you're sleeping. WHY GET A FUSION CST?